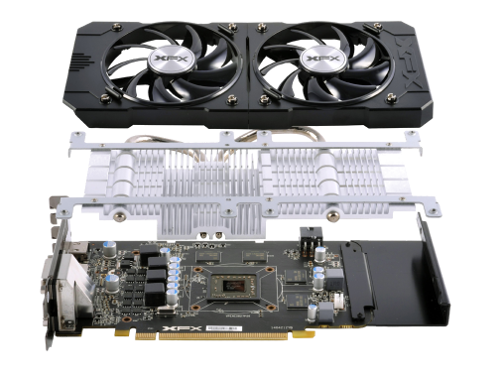 Choose an XFX Radeon™ R7 360 graphics card for smooth, true to life, premium online gaming. 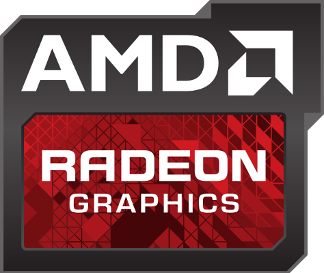 With the power to drive today’s and tomorrow's hottest online games the AMD Radeon™ R7 360 graphics keeps you in the fight whatever the circumstances. 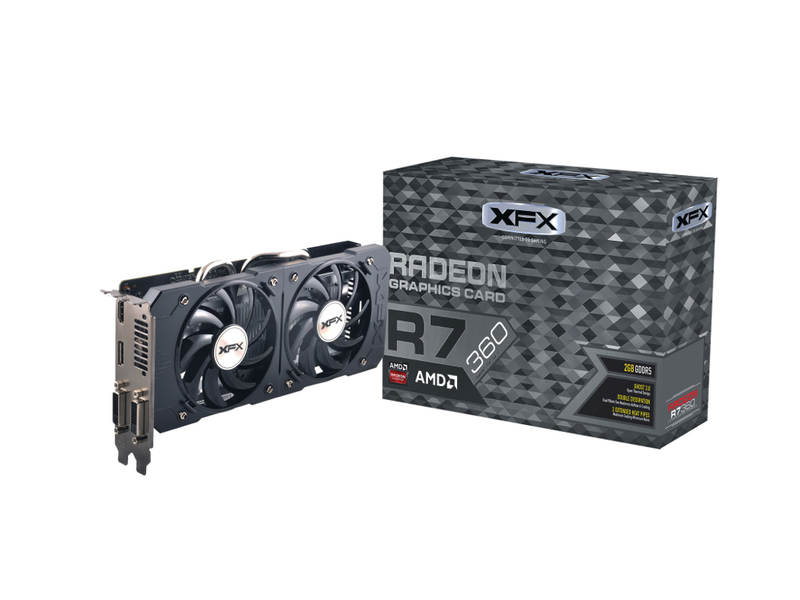 The XFX Radeon™ R7 360 graphics card is made for online competitive gaming helping you crush the competition in todays hottest MOBAs, FPS, and MMORPG games; with high-performance features and visual realism that take your skills to the next level. A whole new dimension of gaming, for a whole new reality. Your days of gaming in mere HD are behind you. 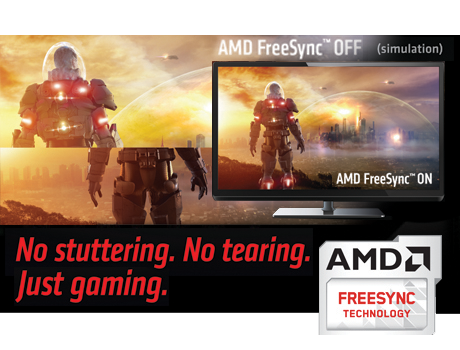 AMD Radeon™ R7 360 GPU delivers all the power you need to play the hottest online games in stunning detail along with smooth, stutter-free gameplay, thanks to AMD FreeSync technology. Maintain the highest possible frame rates while connected to FreeSync monitors without sacrificing performance. Every gamer deserves perfectly smooth, realistic gameplay and peak performance. Your games have never had it this good. Expand your territory and customize your field of vision. 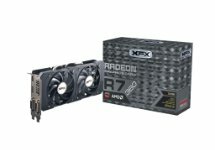 Connect up to three displays on a single GPU for dynamic, panoramic multi-screen gaming. You’ll get an expansive experience that’s truly out of sight. The feature-rich AMD Radeon™ R7 360 GPU delivers all the power you need to play the hottest online games in stunning detail along with smooth, stutter-free gameplay, thanks to AMD FreeSync technology. Maintain the highest possible frame rates while connected to FreeSync monitors without sacrificing performance. Every gamer deserves perfectly smooth, realistic gameplay and peak performance. 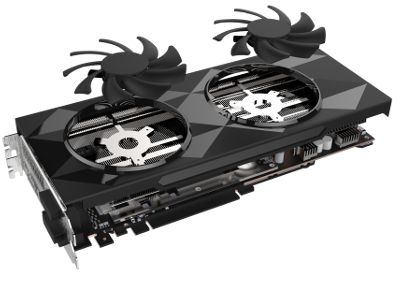 Built for battle, the XFX Radeon™ R7 360 GPU is your secret weapon for the games of today and tomorrow. 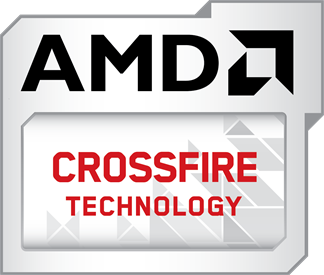 Using the next-gen, super-charged graphics and compute APIs - Vulkan, DirectX® 12, OpenGL 4.4, OpenCL, Mantle - achieve consistent, peak performance across virtually all games and applications and raise the bar for a reliable and dependable GPU.